Geezaldinho wrote: And I’m told one or two transfers will be coming in, one or so going elsewhere, and perhaps a Euro player. Sounds like a couple of good additions. We swap Carter for Rita, I guess. Does anyone have any advance info about incoming frosh? It seems like we might be a little light up front, depending on how they play to use Ries and Hazlett, both of whom have played as strikers and as midfielders. Expect more players coming in. SoreKnees wrote: Does anyone have any advance info about incoming frosh? Yes, there are four of them, D Shay Adams from Seattle, GK Gina Muzi from Delafield, Wisconsin, F MJ Roe from Anthem, Arizona, and GK Jenny Wahlen from Borlange, Sweden, have signed National Letters of Intent and have four years of eligibility. 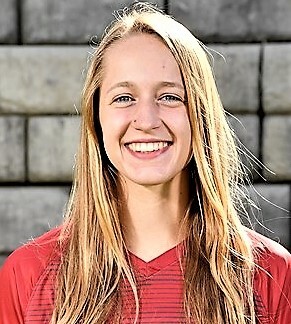 Also joining the 2019 squad is Cal grad-transfer, MF Anja Koehler from Oceanside, California. Koehler has one year of eligibility remaining. Yeah, could be good, depending upon their skill level, but on the negative side it could reduce the fan base including families, friends, and teammates. 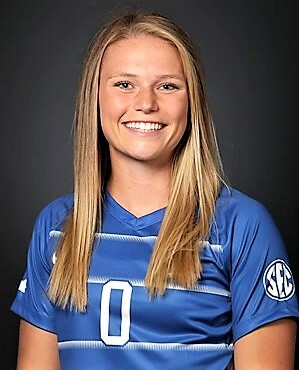 Including Jamie Rita and Payton Woodward, who were announced last month, and if no one transfers out, that brings the roster to 27 or 28 players, the biggest roster I can remember for quite some time... although five of those players are goal keepers! It's gonna be quite a Senior Night later this year with as many as 11 seniors expected to be on the roster. The Instagram UPWS feed show that Gabi Brummett (f) has transfered to UP from Duke. It looks like she will be a Junior. First news on the fall schedule. Looks like a return match for Last year’s home match against Lauren Hanson’s team. Gabi Brummett may have some NW connections. I see Austin Brummett is on the Seattle Sounders academy team.